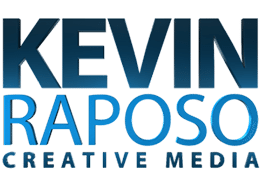 In all aspects of photography and video production, I pride myself in offering the perfect balance of creativity and efficiency, from concept to delivery. My efficient processes enable me to offer packages with lightning-quick turnaround times. For specific information, have a look through the individual portfolio pages. Your project files are kept secure. Once your content is on my computer, additional copies are generated immediately and maintained regularly. All of my work is stored on a RAID 10 configuration, and I run automated backups to additional on-site and remote drives. I have extensive experience in managing content delivery on a variety of social media platforms. This means I can guide you in effectively delivering your final product to your target audience. Above all else, you can be confident in my ability to meet turnaround times, secure your project files, and deliver a final product that exceeds expectations. While creativity is apparent in my portfolio, most will ask me to explain what I mean by ‘efficiency’. Efficiency doesn’t mean cutting corners. It’s about making minor adjustments to your workflow that save significant time when performed repeatedly. I’m extremely-well versed with my equipment, and have a strong background in technology. I’ve memorized major camera and computer functions, allowing me to focus my attention on the creative component of your project. I also have extensive experience managing a variety of social media platforms. I understand how to quickly and effectively optimize the delivery of your content. I automate file transfers, meaning that your project files are copied from my memory cards the second I connect them. I also automate backups. Once your project files are on my computer, additional copies immediately begin generating on multiple drives (both on-site and remote). I use professional-grade software, optimized for speed. Photo Mechanic is one example. I can simultaneously transfer, review, and edit your project files, enabling me to begin work immediately and deliver your final product sooner. I work almost exclusively with keyboard shortcuts, dramatically saving time spent dragging and clicking a mouse to perform tasks. Could you explain your process? Submit your request to me through my Contact page. I work with you to understand your requirements and build a plan. I capture your story through photo or video! I head to the editing booth, and work on the final product. A project number and status updates are provided. Once complete, I deliver your final product through Google Drive, or directly to your social media accounts.